F.A. Trophy Quarter-Final. Saturday 24 February 2017, 3:00pm. Adam Cunnington’s second half goal against Harrogate Town earlier this month sealed victory and made club history as Billericay Town reached the Quarter-Finals of the F.A. Trophy for the first time in their history. Town are now the lowest ranked team left in the competition. The Blues first competed in the Trophy in 1980 and reached the fifth round in 2001 when they were beaten 3-2 at home by Telford United. Telford were beaten 1-0 by Canvey Island in the Quarter-Finals and the Essex club would go on to beat Forest Green Rovers in the final. This weekend’s visitors started their run with a 2-1 win at Chelmsford City in the Third Qualifying Round. They then beat Wingate & Finchley, Hereford and then Warrington Town to get to this stage. The Stones are members of the National League South are sitting comfortably in mid-table. Amongst their squad are former Blues Danny Green and Evans Kouassi. They also have former Ireland international Alan O’Brien amongst the playing staff. 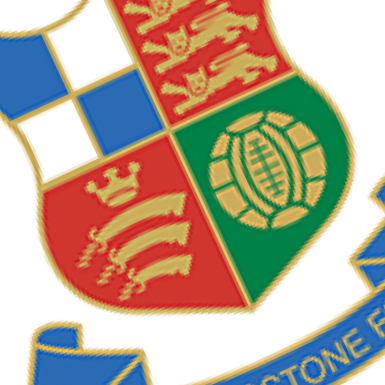 Wealdstone was formed in 1899 and folded in 1906. They were then reformed in time to join the 1908-09 season. Much of the clubs early league history was spent in the Willesden & District League before they became members of the Athenian League in 1928-29, switching from the Spartan League. On Saturday 19 October 1946 Barnet and Wealdstone met for an Athenian League match. The BBC was in attendance making this would be the first live football match ever broadcast. Barnet received £5 in royalties for the 55 minutes of the match that was broadcast. During the 1949-40 season Wealdstone reached the F.A. Cup First Round proper for the first time, beating Hendon, Enfield, St Albans City, Edgware Town and Colchester United (then of the Southern League) without conceding a goal. The matches against Edgware and Colchester were the first two live F.A. Cup matches to be broadcast by the BBC. They travelled to Port Vale in the first round and only lost 1-0. They lifted the Athenian League title in 1952 and finished runners-up three times in the next 10 years. Wealdstone first joined the Isthmian League for the 1964-65 season but only stayed for 7 years. In 1966 Wealdstone beat Hendon at Wembley to lift the F.A. Amateur Cup. In 1979 they became founder members of the Alliance Premier League, today known as the National League. At the end of the 1984-85 season they would complete the Non-League Double, lifiting the Alliance Premier League title and the F.A. Trophy. Within three seasons they were relegated to the Southern League and then joined the Isthmian League in 1995. They won the Isthmian League Premier Division in 2014 and were promoted to the Conference South, the level they play at today. Wealdstone made their last F.A. Cup First Round appearance in 2015 losing out to Colchester United 6-2. 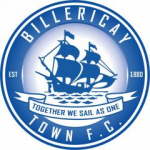 It appears that Billericay Town and Wealdstone first met on Tuesday 24 August 2004 at Edgware. Wealdstone had just gained promotion to the Isthmian Premier that summer. Goals from Jamie Dormer, Danny Hockton and Leon Hunter gave Town a 3-2 victory in front of a crowd of 238. Wealdstone came to New Lodge on Friday 25 March 2005. Two Nathan Elder goals secured a 2-0 victory for The Blues with 672 fans in attendance. Billericay finished as runners-up, six points behind Yeading, whilst Wealdstone ended in 18th position. The last time Wealdstone came to New Lodge was on Monday 21 April 2014, after Wealdstone had already secured promotion. Callum Dunne, Rich Halle, Isaac Layne and Glenn Poole all scored as Town won 4-2. Tickets can also be bought from the club between 9 and 5 or via the online tickets site.